We talk with Davide Balliano (Turin, 1983, lives and works in New York) about his first solo show at Tina Kim Gallery in New York where he presents several recent paintings created specifically for the exhibition. Inscribed with his austere vocabulary and minimalist forms, Balliano’s paintings display carefully synthesized elements that speak to the notion of proportion and consider humanity’s place in relationship to the power of the universe. 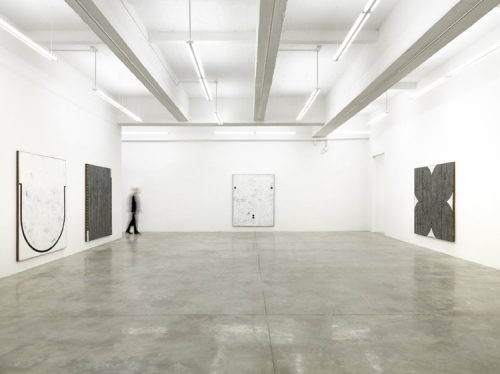 I know and appreciate Davide Balliano's work since the very beginning of his career when he lived in Milano, now I'm more than happy and proud to share with you through Fruit of the Forest the works he did for his first solo show in a Chelsea at Tina Kim Gallery (January 26 - February 24).